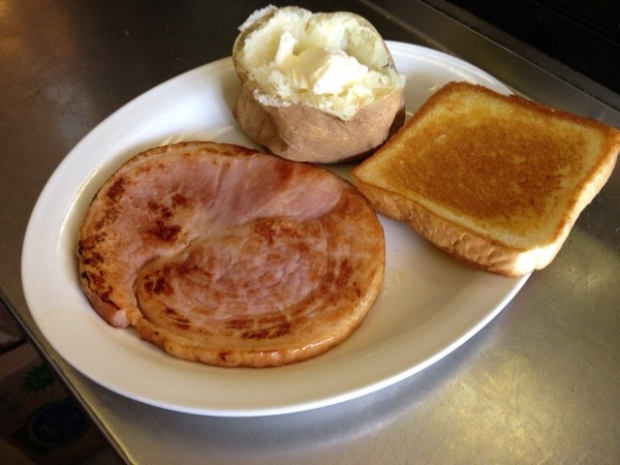 If you’re not in the mood for beef, try our delicious 8 ounce Ham Steak. While some Ham Steaks are sugar-cured, ours is uniquely mild in flavor. Served with your choice of steak fries or baked potato, salad & texas toast.